Introducing our new SAP Business One ERP system. William Clark is proud to announce that we are introducing a new ERP management system to facilitate the rate at which we are growing. As one of the oldest firms in the world we have been producing specialised traditional and modern fabrics since 1736 for the discerning customer. Over the centuries we have used a number of different management systems, upgrading as we have grown and expanded. For the last 15 years we have ran a semi-bespoke financial and manufacturing software, but the time to change has arrived as we have again outgrown the systems functional uses. Currently our business strategy is split into two main streams of revenue: manufacturing and wholesale. Onsite in Upperlands we manufacture a wide range of both linen and cotton fabrics that can be found in a variety of sectors from fashion design to the aviation industry. Using a range of processes carried out by our expert craftsmen, we produce our high quality fabrics to exact specifications. We operate a wholesaling service through our connection with Evans Textiles Sales Ltd. Allowing us to offer a full range of home furnishings from linings, blackouts, safety accessories, curtain poles and tracks. Recently we launched a new Dove Grey colour in the notable, luxury DB1 line of linings that is made onsite here in Upperlands. 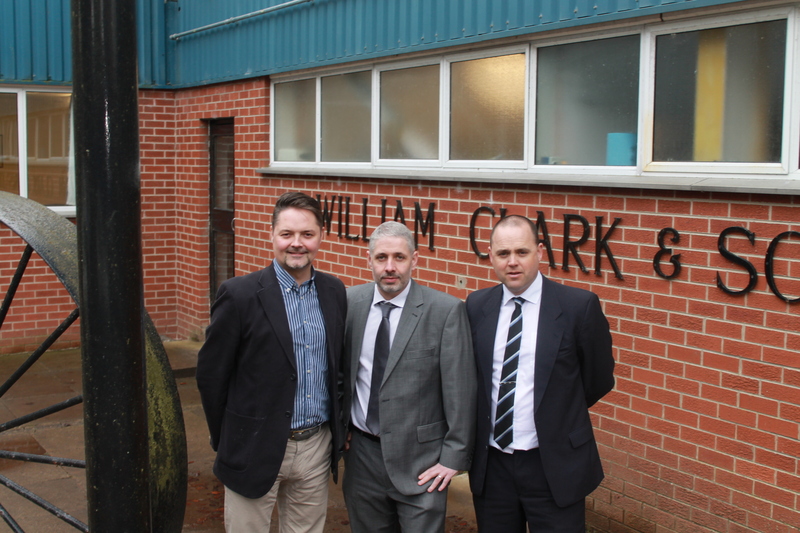 “William Clark have set enterprising growth targets for the next few years and needed to put in place an ERP solution that could develop as the company continues to grow.” (Kevin Devlin, Production Director). Our new business plan, lists a number of exciting stages within 3 years; including a turnover increase of 60%, and increasing our staff from 35 to 50. In order to keep up with and control this rising growth we required a compatible ERP management solution. Following in-depth analysis of the top ERP solutions available in the market today we will be installing the market leading SAP Business One software. We decided to award the contract to leading firm, FUEL- High Performance IT to implement SAP Business One. Combining the most innovative and cutting edge software management system with the best IT infrastructure. Our system will utilise the SAP HANA inMemory database. SAP HANA provides instant reporting across our manufacturing, customer service and financial departments. Refining and increasing customer service, manufacturing and production to efficiently create the best quality product. With this new system we can track an initial sales enquiry right through to the finished order, ensuring that all live information is instantly available and known to every department within the business. This new system will not only ensure that William Clark continues to meet every single order but help us exceed our future milestones.